This sculpture is currently not on display. 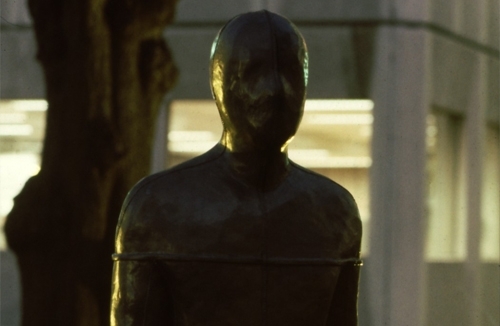 Antony Gormley is one of the best known and most popular British sculptors working today. He has shown extensively throughout the world and is probably best known for his sculpture Angel of the North in Gateshead. The Hayward Gallery in London showed a major retrospective of his work in Spring 2007. The Place to Be, as with many of his works, are made from casts of his own body. Originally, the three lifesize pieces were situated in Monkstone House offices in the city centre before being moved to Thorpe Meadows. The Place to Be is currently receiving restoration work to enable it's resiting in Peterborough.